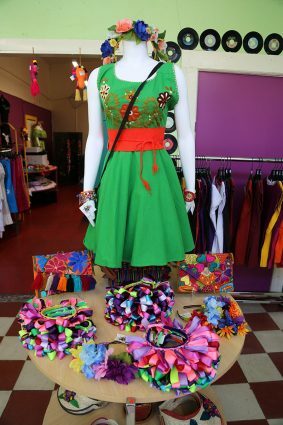 Fiesta Couture, 734 S. Alamo St., has only been open for two months, but already showcases a comparable collection of handmade Mexican fashions, accessories, and party supplies. For three years, owner Susan Gomez-Maldonado sourced vendors and researched locations, and ultimately found a spot in the same Southtown building that houses La Frite Belgian Bistro and Southtown Yoga Loft. Gomez-Maldonado loves the location for its culture and looks forward to further development in the area she feels will benefit her business, as well as businesses around her. crossbody bags, and strapless dresses. Last week, she was re-stocking for Fiesta, which officially begins tomorrow with Fiesta Fiesta, the celebration’s official kick-off, 3-9 p.m. at Hemisfair. 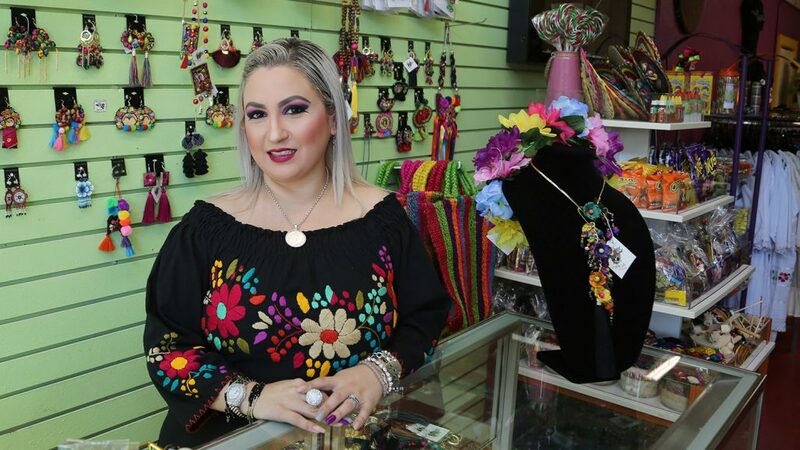 Gomez-Maldonado, a San Antonio native, was inspired to open a business because of what she calls a problem with Mexican goods being sold in other stores. 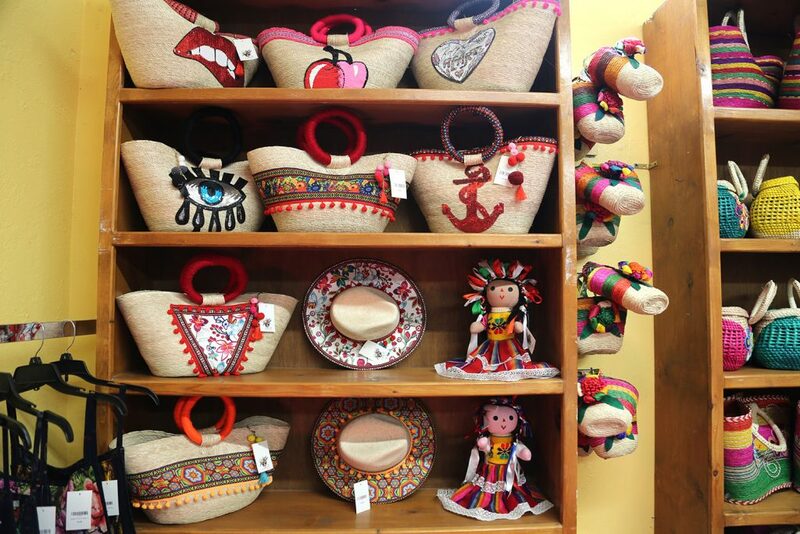 With the help of her parents and her husband Gerardo, Gomez-Maldonado went through the process of opening up a shop with the goal of educating people about the culture while at the same time providing quality products at reasonable prices, she said. But she also wants to appeal to tourists who may make their way from downtown to Southtown. “They’re walking down here and there is something that they can get to take back home,” she said.